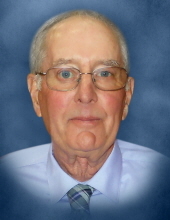 David DeVleeshower, 74, Morrison, passed away early Thursday morning, November 22, 2018. He was born November 12, 1944 to the late Joseph and Helen (Moenssens) DeVleeshower. On February 1, 1964, he married Sandy Bornemann. He worked as a heavy equipment operator for Dorner – Stahl Construction for 35 years. Dave was a very handy man in many different things, especially making his own Long Bows and arrows. He also enjoyed the outdoors, especially deer hunting and fishing. Dave is survived by his wife Sandy, his daughters: Holly (Steve) Malcore and Lisa (Pat) VanLanen, his grandchildren: Ryan and Emily Malcore, Bradley (Hannah) Baumgart, Jared, Justin, and DJ VanLanen, his two great grandchildren: Dominique and Jameson; Dave’s siblings: Marge (Bud) Calaway, Barb Drzewiecki, Mary Jo DeVleeshower and Kathy Schuster, a sister in law Bonnie Davis, as well as numerous nieces, nephews, and friends. He was preceded in death by his brothers in law: Bob Drzewiecki and Tom Davis, as well as his niece Nancy Duerr. Friends may call at Nickel Funeral Home, 7101 Morrison Road, Morrison, after 9:00AM Wednesday, November 28, 2018 until time of service at 11:00AM with Pastor Randy Ott officiating. Burial will follow in the Zion Lutheran Cemetery, Morrison. Special thanks to the 4th floor staff at Bellin Hospital as well as Unity Hospice. To send flowers or a remembrance gift to the family of David DeVleeshower, please visit our Tribute Store. "Email Address" would like to share the life celebration of David DeVleeshower. Click on the "link" to go to share a favorite memory or leave a condolence message for the family.